For a successful appliance repair service in Ione, CA, call on Motherlode Appliance Repair that has been in operation since 2004. For many years we have offered a wide range of services including Appliance Services, Appliance Repair, Refrigerator Repair and much more. 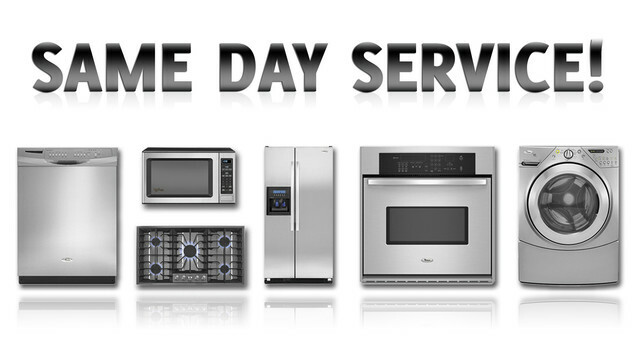 We have the experience to repair your appliances efficiently and professionally. We pride ourselves on our customer service and affordable rates. For a great service in Ione, CA, call on Motherlode Appliance Repair. Household appliances have a major role in your life. You're using appliances like your washer and dryer and dishwasher probably every day. It's easy to forget how integral these things are. That is until they break down. Our appliance repair technicians are here to help! Don't try to deal with appliance issues all by yourself. You have enough to worry about. Let one of our experts quickly access the problem and get it solved. So you can put things like leaks and breaks behind you. Our service is always fast, friendly and affordable. When appliance issues start causing problems, call us to take care of them! Think of the most important appliance in your house, what is it? It's probably your refrigerator. When your refrigerator starts having problems, it can set off a whole chain of disasters. Ice trays can leak and cause water damage, food can spoil and energy will be wasted. That's a problem you can't leave unsolved. You need a trained refrigerator repair expert. Our experts bring with them years of experience and a working knowledge of all the refrigerator models on the market. So no matter what problems arise, our refrigerator repair specialists will have the answer. With fast, affordable service, your fridge will be up and running again in no time! We have over a decade of experience in home appliance repair. Since 2004, we've been dealing with issues like Speed Queen repair, every day. When you invest in a speed queen or any other type of appliance, you're making a pricey investment. Don't waste that money by trying to fix it yourself. Unless you're an expert, only more problems will come from it. Our repairmen are experts in fixing appliances. They'll take the stress and worry out of the repair job. So sit back and let us handle everything from Speed Queen repair to dishwasher issues. Don't wait, give us a call today! Paul had my dryer up and running in no time. and the cost of the repair was very reasonable. Motherlode Appliance Repair © All Rights Reserved.